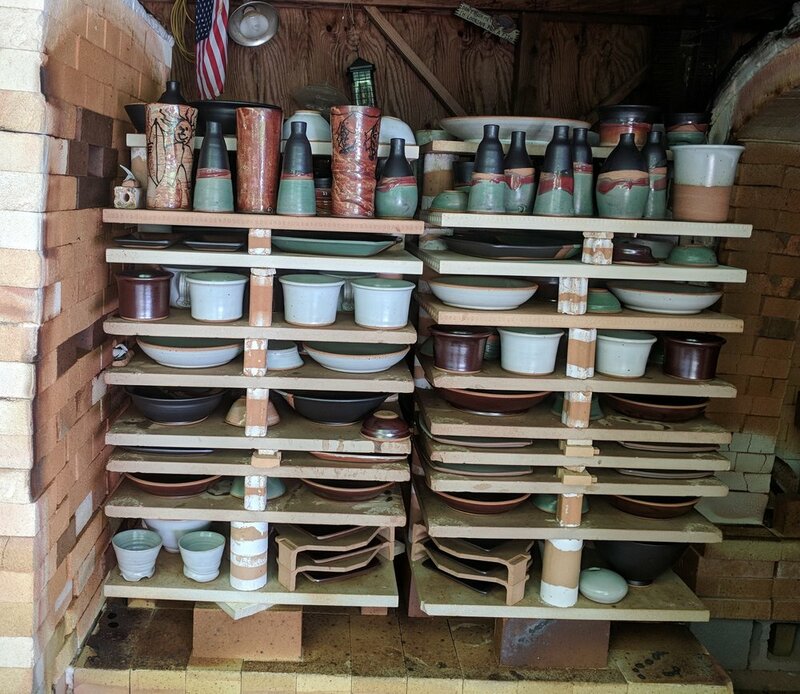 I fired my 7th kiln load for 2018 last week, and am well pleased with the results. 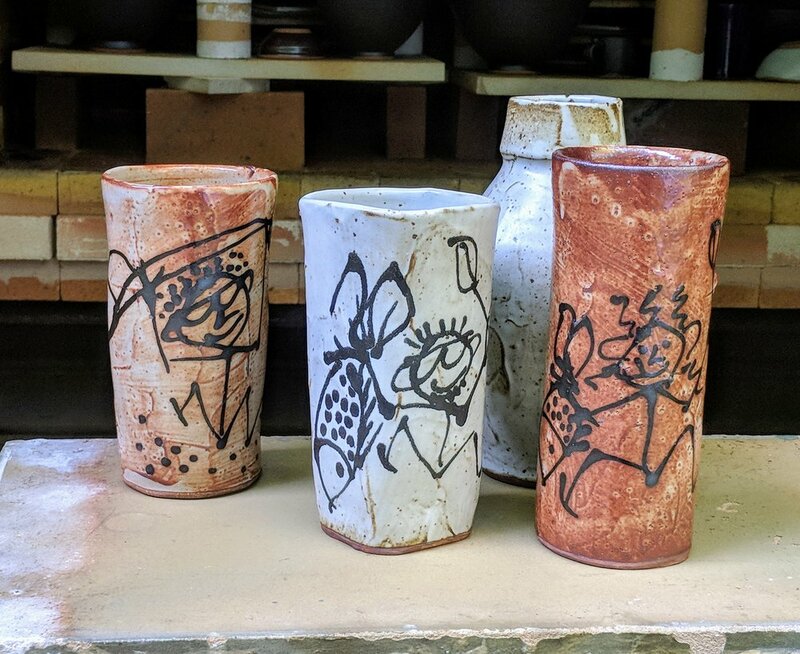 A few of the pots were whimsical, featuring surfers or fishermen, and made with Darkstar, a local clay. Along with all the usual stuff, I'm building a new, much smaller kiln with the assistance of our good friend Terry Childress. Terry is a master stone and tile mason, and inventive potter. Stay tuned for more pics of this new kiln building adventure!